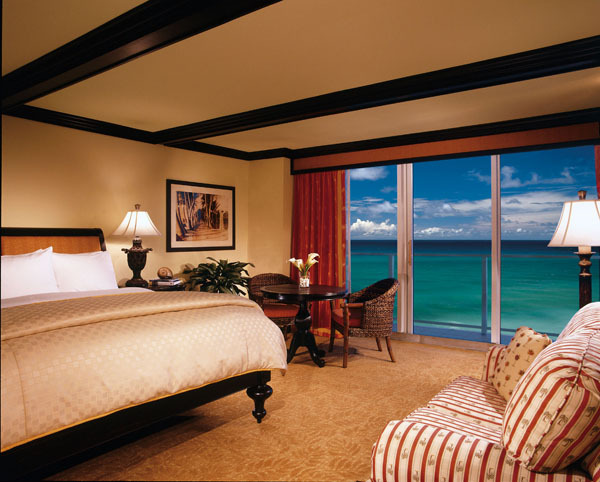 Situated in the golf capital of the country, Jupiter Beach and Spa Resort embodies the spirit of Palm Beach. Pushing open the dark wooden doors, guests will step into a contemporary room with an island-inspired décor but it’s the unparalleled view of the blue waters of the Atlantic that will alter your view of what paradise resembles. The hotel accommodates 40 spacious suites and four penthouse hospitality suites each furnished with a wet bar and a separate living and sleeping area. Breakfast is served at Sinclair’s but guests have the option of dining in bed. Trust me, sitting on a balcony sipping a cup of coffee with a newspaper in hand hearing the waves crashing against the rocks seems like a much better way to start the day. 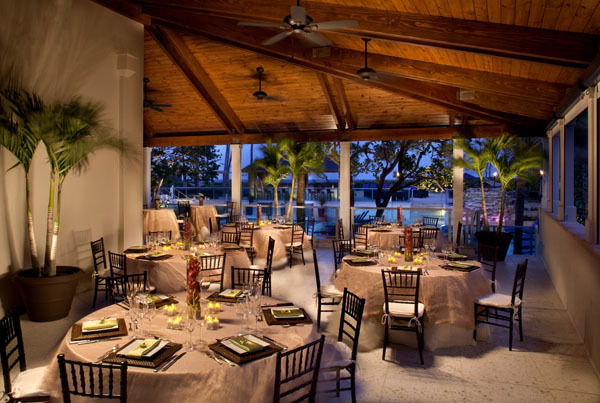 Jupiter’s only oceanfront restaurant, Sinclairs is perfect for any occasion. On a girls trip, feel free to head down to the bar to share a laugh with the girls over cocktails. However, the restaurant’s outdoor terrace is the real catch. Picture yourself slicing through a perfectly grilled beef tenderloin drizzled with port wine bordelaise topped with potato curls and a side of parslied potato brule while enjoying a glass of red wine with your significant other as you overlook the calming waters of the Atlantic Ocean, sounds like a perfect date doesn’t it? Situated by the waters, the seafood is certainly fresh which is why the seared diver scallops seared perfectly pink paired with grilled pineapple and a side of watercress tossed with perfectly toasted golden crostini and sprinkled with aged balsamic reduction is highly recommended. The first taste of a slightly warm pineapple might be strange but the acidity of the fruit contrasts the sweetness of the scallops, it is bound to electrify your palette. Remember to leave room for dessert because kids and adults alike are bound to love the juicy fresh strawberry dipped in dark chocolate and sprinkled in sea salt. The dessert is not just a beauty to the eye as it tantalizes your taste buds with a blend of sweet, bitter and salty. No resort is complete without a swimming pool. 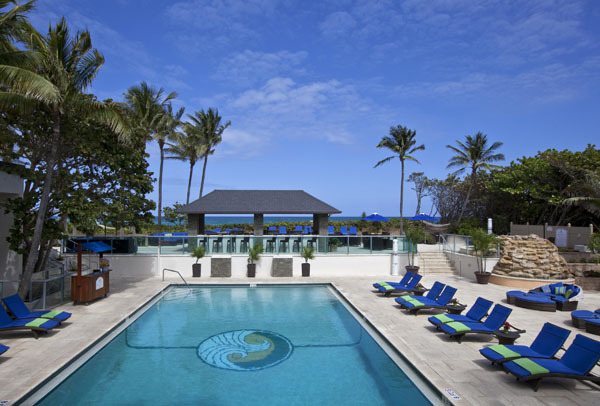 Jupiter is equipped with a heated oceanfront swimming pool so feel free to take a dip even in the winter. While the odds are against a chilly winter in Florida, Jupiter is ahead of the curve as it has a beautiful waterfall hot tub that guests can take a dip in with a cocktail in hand. Unwilling to leave the pool, guests are welcomed to dine at the Sandbar, an alfresco dining area surrounded by the water. The poolside bar is the perfect place to grab a drink with friends while recounting the adventures of the day as the sun sets in the horizon or just to grab a quick bite before diving back into the warm waters of the Atlantic. In the winter, diners can gather around the firewood to share a laugh with their loved ones. Located by the Sandbar are lounge chairs that faces the beach so adults can conveniently tan next to the bar while keeping an eye on the kids splashing around in the water. A trip to paradise is incomplete until your soles are burning from walking on the 1000 feet of scorching hot white sand but the pain is worth it. 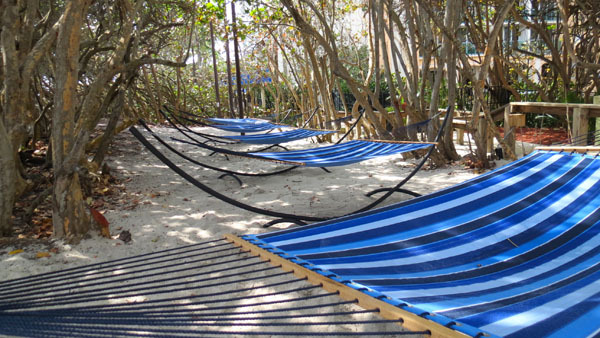 Escape from reality and venture out to the hotel’s secluded beach to relax on one of the many beach chairs lined up facing the Atlantic Ocean where you can admire the stunning blue waters while sun tanning. The sounds of the water will transport you to an alternate universe where you will be relieved from the stresses of work and allow you to fully immerse in vacation mode. As the sun sets, take a stroll with your loved one to witness the glowing sun set above the beautiful calm waters. Besides the sun and sea, guests can enjoy many outdoor activities situated in close proximity to the resort. While the hotel does not have its own private course, guests can tee up at multiple world class golf courses located in close proximity to the resort. Opened year-round, the months of May through October are less crowded so there’s no excuse for putting a bad round of golf. For golf fanatics, you’d be ecstatic to find out where famed golfers such as Phil Mickelson and Ricky Fowler live and you can visit the building purchased by former number one golfer Tiger Woods. If you’re more of a Federer fan than a Spieth fan, the hotel has two tennis courts located at its entrance for guests to enjoy. The hotel saves guests the hassle of packing a racket as it provides it as well as equipment for basketball and shuffleboard courts. While dads are enjoying the luscious green courses, kids can hop onto the kayaks and paddle boards offered by Blueline surf and paddle company. While kayaking or paddle boarding, the guide will attempt to spot marine animals, birds and mangroves which will make learning fun for young ones. However, with the high temperatures of Florida, don’t leave the house without a bottle of sunscreen. Alternatively if you’re looking to learn about Jupiter’s marine life, sign up for a snorkeling tour or borrow gear from Jupiter Dive Center. Known as one of the world’s premier scuba diving vacation destination, the warm waters of Palm Beach ensures year-round diving experiences and great visibility to see over hundred types of fishes along with five species of sea turtles and if you’re fortunate maybe even eels, sharks and rays. Offered by the Loggerhead Marine Life Center, little kids should sign up for the escorted turtle walks where they can learn about the precious endangered sea turtles and how to protect them. With Jupiter making it a priority to protect endangered sea turtles, guests of the resort might have the privilege to witness one of the five different types of turtles laying their eggs during their annual nesting period. In the evening, walk on over to The Jupiter Lighthouse where you can absorb the best view of Palm Beach County. If you’re visiting the town from April to January, take a tour up the lighthouse where you can take in the view of Jupiter from above ground. After a day of adventure under the sun, head to the spa for a relaxing evening. Greeted by a smiling receptionists, guests will be led to the changing room where they will change into a bathrobe. The pampering begins after getting changed as you lounge on the velvet chairs sipping a glass of champagne. With a full menu, the spa offers services such as facial, massage and manicures or pedicures. The signature facial uses the latest anti-aging technologies to ensure increased firmness, elasticity and fullness and minimizes fine lines and wrinkles so you’ll leave the spa looking years younger. Under the sun for long hours certainly damages your skin, the spa offers treatments such as the soothing sun wrap and ocean restorative facial to hydrate your skin. The soothing sun wrap eases the pain of sunburned with ingredients such as aloe vera and green tea extracts to help minimize redness and irritation and heal the damaged skin. Whether you’re out playing golf or kayaking, a massage is a fantastic way to let your body and mind relax after a tiring day out. Prior to your massage, the spa displays a selection of aromas for guests to choose from. You will leave the spa feeling recharged for another day of sun and sea. Whether you love tanning on the beach, teeing it up with a bunch of pals, sipping wine while chatting with friends, learning about the marine life, Jupiter Beach and Spa Resort guarantees that you’ll never want to step foot out of Palm Beach county.